The American Legion Riders were started in 1993 at Garden City, Michigan, to provide support for military families through motorcycle escorts and fundraising. The American Legion Riders have since grown, with ALR chapters in all 50 states as well as 26 chapters in Southern California. The American Legion Riders are an approved commission of the Department of California for Legionnaires, Auxiliary members, and Sons of the American Legion members throughout the state – active members who enjoy motorcycle riding; and an ideal way to support The American Legion's programs. Chapter 281 was represented at the southern California rally in Oxnard, CA, Sept 2013 attended by over 300 riders. In February 2014, Chapter 281 hosted an open house which was attended by over 150 riders from the other California chapters. Chapter 281 was represented at the 8th Annual Convention in Escondido, CA. Chapter 281 delegates were involved in the election of the state president. Although Chapter 281 is the newest chapter Orange County, it has set its sights high. Chapter 281 is planning a major fundraising event, the “Surf To Turf” Ride, culminating in a ride through Camp Pendleton and Wounded Warrior Battalion – West, also located in Camp Pendleton. Surf To Turf is planned to occur annually each September, with over 300 riders in attendance. Funds generated from this major fundraising event will be used to support local veteran and community causes. Laguna Niguel’s Chapter 281 American Legion Riders are comprised of Legionnaires from Post 281, as well as members from the Auxiliary and Sons of the American Legion. Each member proudly displays a respective “Veteran”, “Auxiliary”, or “Squadron” designation on their back vest patch, showing their affiliation with the Post. 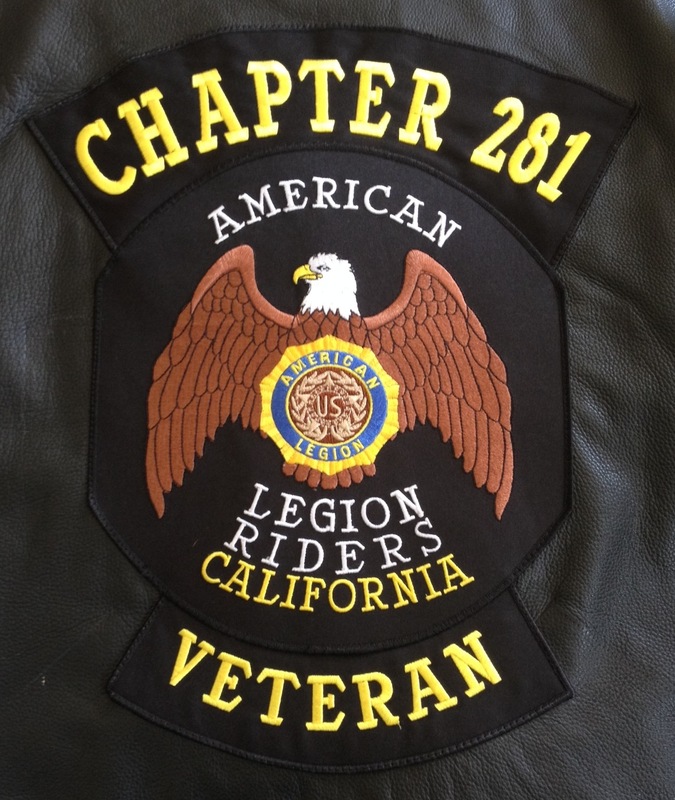 Chapter 281’s Legion Riders are American Legion members who enjoy the camaraderie found in group motorcycle riding, promoting the values found in motorcycle safety, community involvement and good citizenship on the road.